We moved from Barcelona to UK in 2013. Since then we have lived in different places around Manchester. The first place we could afford was a bedsit accommodation. We lived there for almost a year until we were finally able to move to a 2 bedroom flat. We stayed there for a couple of years but on the second year the flat started to fall apart and we searched for another house. This time we were able to afford a 2 bedroom house, which is the current place we live in. Throughout all those years being an EU national never seemed an obstacle, especially since both of us, my husband and myself, were working. Then in 2016, a new law came out. On September this year, we thought it would be a good idea to start searching for a bigger house. -Wrong!- It was a terrible idea! It was the wrong timing because school applications for our 6-year-old would take a while, meaning she could miss days of school. Changes in our family circumstances meant that we had to look for childcare for our almost 2-year-old and then all the rest of the family daily hassles you can imagine. Anyway, you know when you feel things aren’t completely right but you want to convince yourself that they actually are? That’s what we did and for almost the whole month of September went house hunting, visiting properties, making calls, organising our budget. We were so disappointed with the estate agencies we came across! Some of them would arrange a visit with us for the wrong house, making us waste time. Others, despite showing an interest in their properties and chasing them on the phone wouldn’t even return our calls. My husband and I started to really doubt the efficiency of these type of businesses. We were given fees of up to almost £400 per applicant. We even had a lady on the phone that after giving us their price said to us “You need to be able to afford xxxx amount to move in” – Seriously?- I don’t know how many calls she receives from people who can’t pay for the house they want to rent but we would never apply for a place we CAN’T afford.- Did she assume that because of my accent? 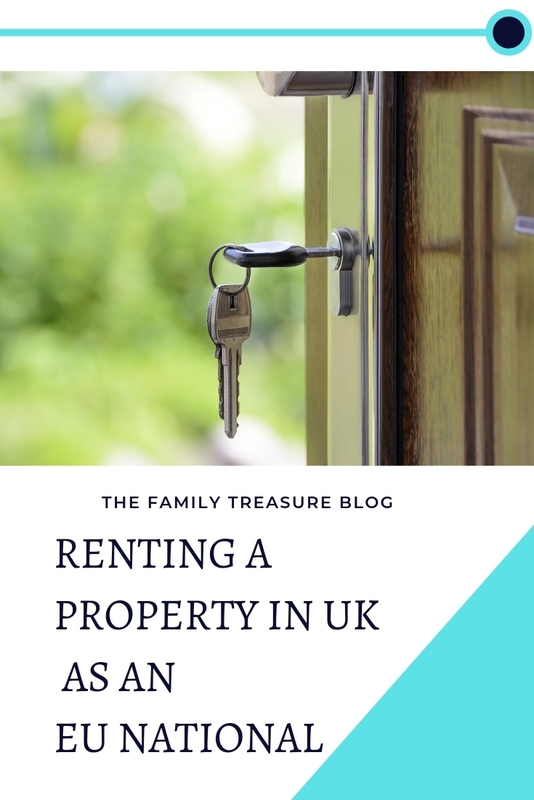 some things are better left unanswered, don’t you think?… Then, when you could find a letting agency with a more reasonable price they hid other charges from third providers, such as UK Tenant Data. Let’s talk about them! What is it with UK Tenant data? If I were a homeowner wanting to rent my property I wouldn’t mind using them to check the tenant’s information but If I am a letting agency already charging an application fee, why in the world would I add another expense to the potential tenant, plus duplicating all the paperwork? This was our case with one of the estate agencies, after providing all the paperwork for a house we decided to apply, they sent us the online form for UK Tenant data. UK Tenant Data charged us £20 per applicant to check our immigration status in the UK. And here it is where I went from being disappointed to being frustrated- (angry to be honest with you) -As far as the last email I received from the Home Office -yes, I’m subscribed to their email list in case they want to kick all the EU nationals out of their country! lol- Nothing has changed for EU citizens who are living and working in the UK. So, what are they really checking with the Home Office? and moreover, why are they charging me for that? Showing my passport/EU ID should be enough prove for the estate agency/landlord that I am eligible to live and work in the UK. At least till March 2019, right? And obviously, if we are eligible to live and work in the UK we are eligible to RENT unless we could live up in the clouds! For real now, we have been shocked by the way some of these businesses try to “steal” money from you, and I suppose that that applies to an EU national or a British citizen. The time will come when it will feel right to move houses, for now we stick to this perfect moment of complicity between them. If you want to know the end of the story, we decided not to go ahead with that application and before getting a response from them we cancelled it. I know, we wasted our money, but sometimes it’s better this to avoid a greater evil. We have postponed our house search for next year till we truly feel is the right time to do it. At least now we know some of the things we can face. And we must say that not all of the estate agencies are so inefficient as the ones we came across. We have dealt with lovely people in the past and relatives of ours moved houses recently in another city of the UK and never had to pay an extra for “immigration checks” I guess for us, it was definitely not the right time to change. We hope if you are looking to move your search will go much smoother than ours! Previous Post What happened with “The Family Treasure”? I’ve been living in the UK for almost 6 years in different cities and I can say that looking for a house is the worst experience ever. I truly hate it from the bottom of my heart. I can’t understand how is that difficult to find a house in that country. And I really hate the way most of the people try just to get advantage of you and keep your money. The worst thing is that it doesn’t end after finally finding a house an moving there. My experience is that after getting the money landlords just forget about you and any problems you can have in the house. It’s so annoying! Madre mia!!! ” En todas partes se cuecen habas”….buebos datos srta. Asi sabremos que hacer o al menos tendremos una idea de que no hacer para alquilar un piso…casa…etc.